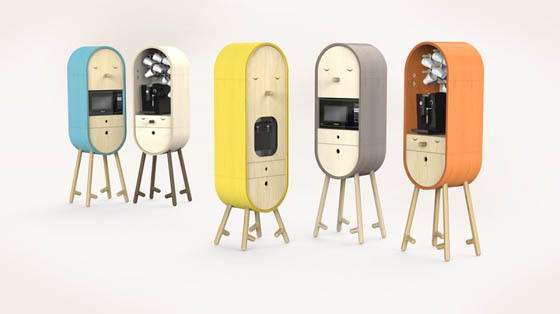 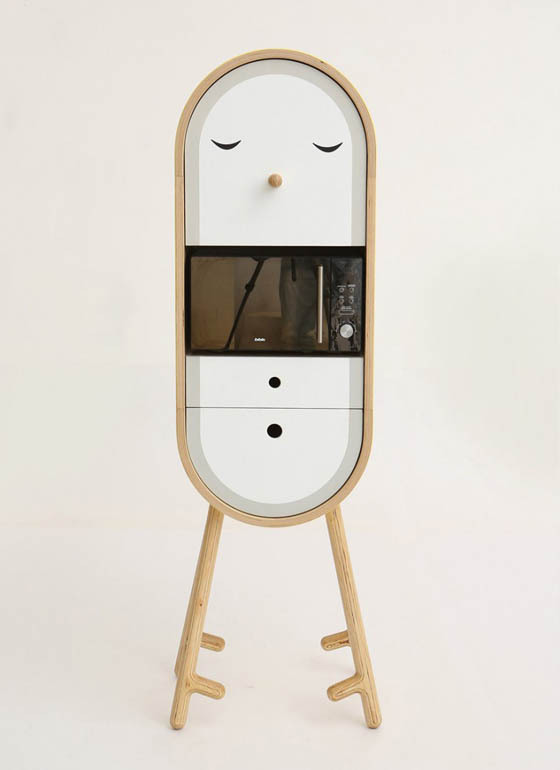 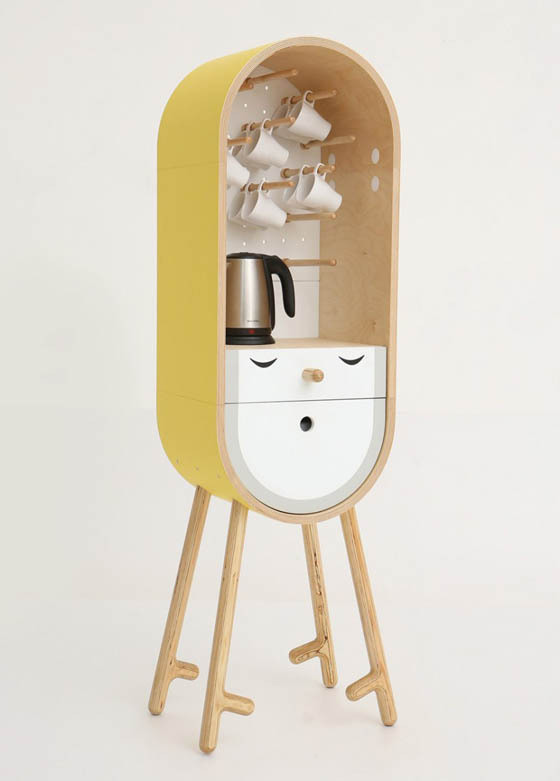 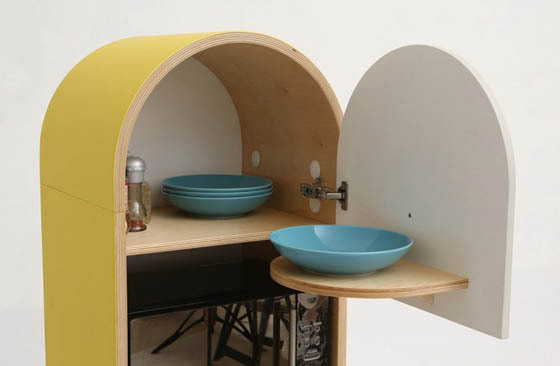 LO-LO, is an adorable capsular micro-kitchen created by designers Tanya Repina and Misha Repin. 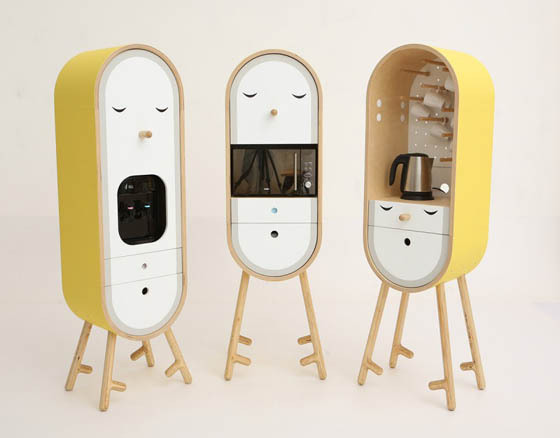 The collection has three modules and each module is intended for one of electrical appliances and its accessories such as cups, plates, cutlery, tea, coffee etc. 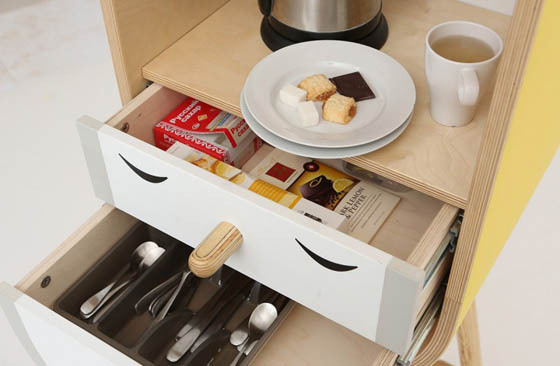 They are designed to complement the basic office kitchen. 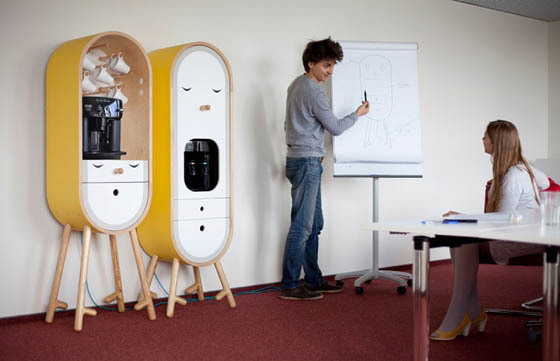 Thanks to its vertical design and mobility, these modules can be easily located all around the office to solve the problem of randomly spaced appliances, cans of coffee and cups. 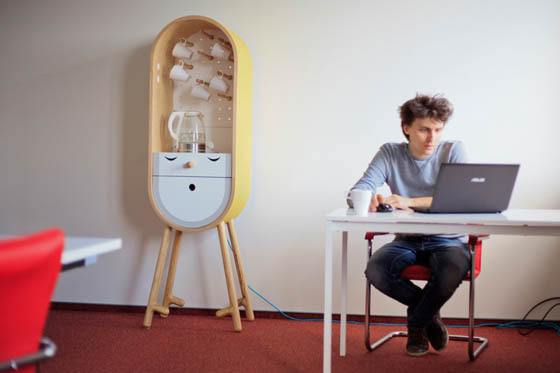 Moreover, its cute design can also add a splash of joy to the working space, creating an easy environment.